As a Las Vegas cosmetic dentist, Dr. Medina knows your smile is your first impression. A whiter, brighter smile gives the sense of youth, health, energy, and confidence. Teeth whitening is the most affordable way to enhance your smile. There’s a reason teeth whitening is the most popular cosmetic dental procedure today. GLO is a new teeth whitening technology that has revolutionized the teeth whitening process, making it simpler and pain free. GLO stands for Guided Light Optics and uses a simple device that combines heat and light to activate the GLO tooth gel, resulting in whiter, brighter teeth. 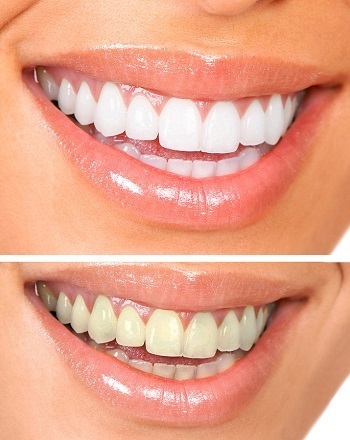 GLO offers you first-time results only achievable with in-office teeth whitening. And you get the added convenience of easy, effective at-home maintenance. Here’s what to expect when you get GLO teeth whitening treatment at our office. GLO works better than other whitening procedures by using a dual-step process. The first step happens in your dentist’s office. During a one-time treatment, GLO quickly and completely introduces light and heat to your teeth to eliminate years of nasty stains from coffee, soda, tea, tobacco, medicine, etc. not to mention the effects of age and genetics, over which we have no control. And, unlike some other products, the treatment produces no tooth sensitivity, so you’ll go home with no discomfort, only a brighter smile! After the office procedure is done, your teeth will already be whiter! Now you’ll begin the home care phase to complete the process and maintain your white teeth. You’ll receive an easy to follow guide with pictures and instructions. And you’ll receive a complete home kit that includes everything you need, including a supply of gel, as well as your own GLO mouthpiece and case as well as a charger and USB cable, among other items. There are no hard to use trays required. It’s so easy! 99.7% of people believe that your smile is one of the most important things you have in social settings. 96% think that a beautiful smile makes a person more attractive. 74% of people think a “bad” smile can hinder career success. When people were asked: “what would you improve about your smile?”, overwhelmingly, they replied “a whiter smile”. There are different kinds of at-home teeth whitening products that have varying results. Many of them are awkward to use, with messy trays and strips. Some can cause your teeth to become sensitive or even painful. And, some, especially if used improperly, have even been known to damage teeth to the point of needing dental repair. Because these whitening processes are not being monitored by your dentist where safety and outcome can be more controlled by an experienced professional, these products are limited to using very low doses of bleaching agents. This means it takes significant time and, most people agree, a lot of hassle before you see noticeable results. What we love about GLO Is that it is quick, easy and works for most dental patients. GLO is safe for people with crowns, caps, bonding, and veneers, so even if your teeth aren’t perfect, they can be perfectly white. Your smile is the first thing people see. Don’t you want it to be as white and bright as it can be? With GLO Science, Dr. Medina can give you the most brilliant new smile. Give us a call for more information on GLO teeth whitening or request an appointment and find out for yourself how easy it is to brighten your smile.